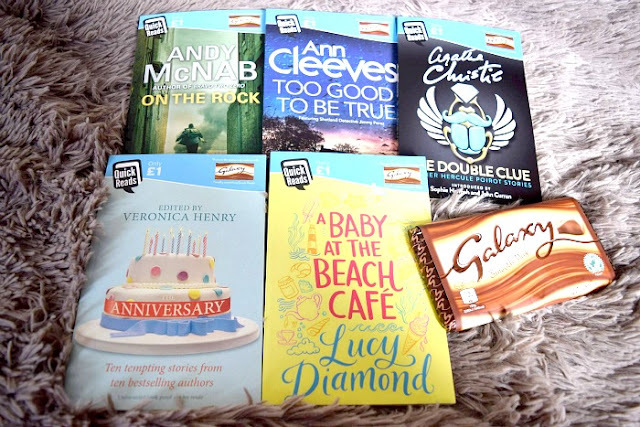 From family secrets to unlikely romance, from wartime tragedy to ghostly messages, The Anniversary is a wonderful collection of short stories from some of the best writers around to celebrate ten years of Quick Reads. This collection includes specially written short fiction by Fanny Blake, Elizabeth Buchan, Rowan Coleman, Jenny Colgan, Phillipa Gregory, Matt Haig, Veronica Henry, Andy McNab, Richard Madeley and John O'Farrell. Each of these fantastic extra short stories are just brilliant. They are clever, some heart-warming and others are special for different reasons. What makes them so good is they are all so different. From different authors and a huge range of genre writers, they all have their own place in this book. 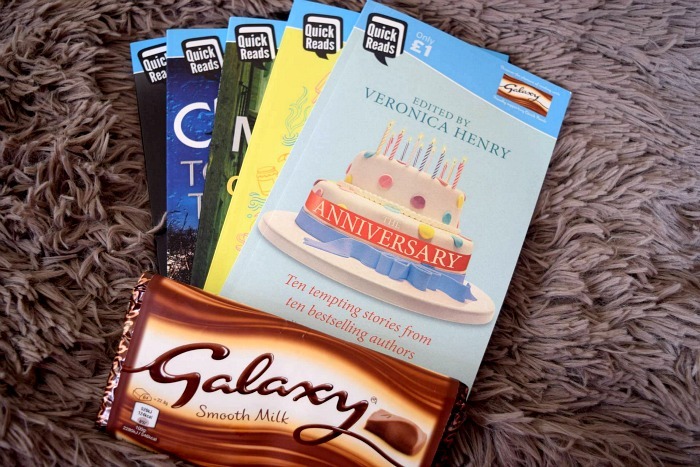 A great collection to celebrate ten years of quick reads! 'Evie loves running her beach cafe in Cornwall but with a baby on the way, she's been told to put her feet up. Let someone else take over? Not likely. Helen's come to Cornwall to escape the stress of city living. She hopes a seaside life will be the answer to all her dreams. When she see's a job advertised at the cafe it sounds perfect. I really enjoyed this book. I think being a parent myself and thinking back to all the anxiety that comes with pregnancy, I felt like I really identified with Evie's character. I also really like the way the author portrayed Helen's character. One minute I disliked her, the next I was hoping for her to find her happy ending. I would love to read a follow up to this story to find out whether or not Helen and her husband ever manage to have the baby they really want and to see if the two ladies become good friends after the experience. 'This is the call he is always ready for. They've had word of a planned attack. That's why he's back here, opposite some suit who's trying to tell him what he needs to do. But he knows exactly what's required. Four men. Plain clothes. Eyes peeled. Three targets. Two cases. One car. I had heard of Andy McNab before but had never read any of his books. I am glad that I read this as I really enjoyed it and it is not the kind of book I would ever pick up or download to read myself. The story is so action packed for such a short story and it constantly has you on the edge of your seat waiting to see what happens. It was also nice to see a story on terrorism that isn't full of cliches and stereotypes and for that reason, it felt so much more realistic to me. Reading this book has definitely made me want to read more from Andy McNab. This is another story that I wouldn't usually read myself. I tend to steer away from reading crime novels but I really enjoyed the story. I found it to be a real 'thinker' and had me guessing who was the murderer all the way through. I love how it was someone that I really didn't suspect too. It was a very well written story and I was so glad to see the case solved. Hercule Poirot, the fussy Belgian detective with the egg-shaped head and neat and tidy moustache, solved some of the world's most puzzling crimes. This book contains four of the very best stories, selected by John Curran, author of Agatha Christie's Secret Notebooks, and Sophie Hannah, who wrote the brand new Hercule Poirot novel, The Monogram Murders. This is another author I have heard about many times but have never got around to reading any of her novels. The way she writes really is brilliant and you are left guessing and looking for clues while you read. Her stories are full of plot twists and I found myself really enjoying them. This years quick reads haven't disappointed. We have had a whole month of illnesses in this house and in the rare moments of peace I have had, I have really enjoyed indulging in some light reading. If either you don't usually get chance to read or you are not quite sure what genre of books is 'your thing', I would definitely recommend picking up a few quick read books to try. They are just £1 each so a great price, are the perfect size for a handbag or laptop case so great for travelling. This years quick read books are available to buy now.